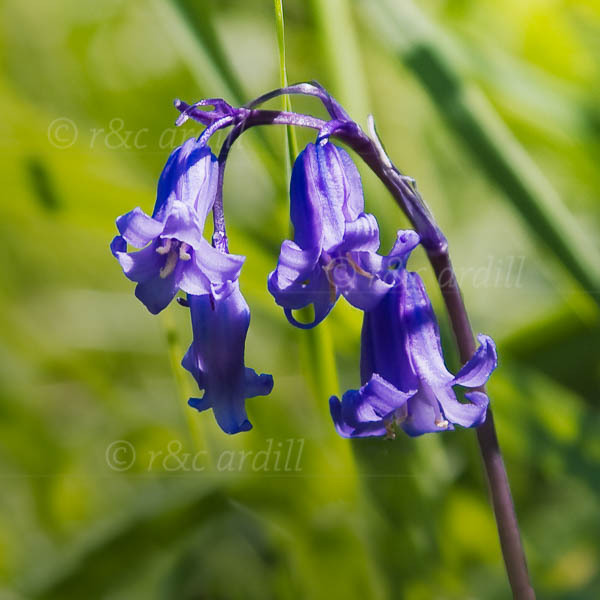 Photo of: Bluebell - Hyacinthoides non-scripta. A closeup of a bluebell taken in Portglenone Forest in County Antrim. The woods of Portlenone are a mass of bluebells and wild garlic in May.